Afghanistan has recently witnessed clashes between terrorist groups and war on terror is the responsibility of Afghan National Defense and Security Forces in Afghanistan in particular Nangarhar and other groups are not allowed to be involved in this process. After a key member of the Taliban group informed of operation against Daesh in Nangarhar, Ministry of Defense (MoD) has said rooting out Daesh and other terrorist groups was the responsibility of Afghan Defense and Security Forces. 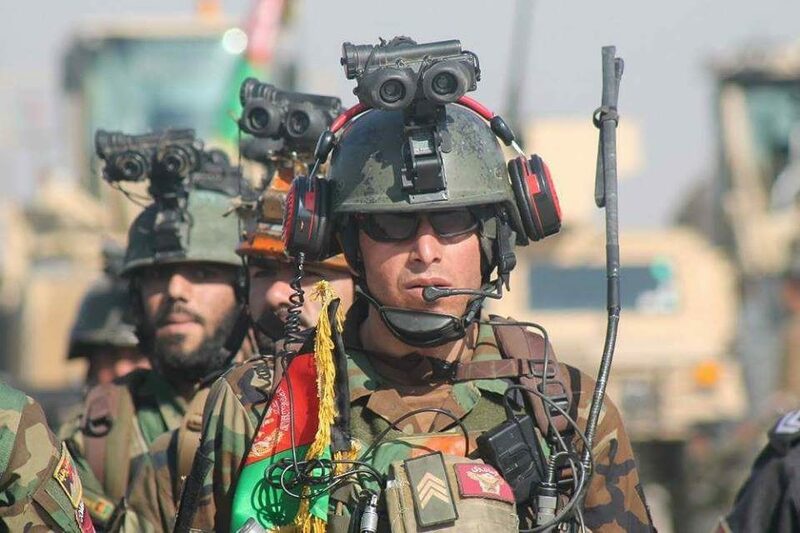 “There are gaps between Taliban and Daesh, but Afghan security forces as leading organ of combat operations are making effort to fight all terrorist groups and those who are threatening the people and government of Afghanistan,” a spokesperson to ministry of defense Gen. Mohammad Radmanish said. He added that military operations against terrorist groups were underway in 11 provinces of the country. Based on reports, currently Daesh terrorist group is active in Shinwar, Batikot, Rodat and some areas in Haska Mina and Achin districts of Nangarhar. A civil society activist Sharifullah Nasiri in a news conference told journalists in Jalalabad that recent insecurities in the province have caused that most of schools remained closed. “Local provincial administration has not been able to maintain security in the province. Members of provincial council have kept silent and representatives of Nangarhar people in parliament are indifferent. The province has no leading body to control the situation. Schools, universities, education, health and government and non-government institutions are facing with serious threat, which is intolerable,” Nasiri said. After the Taliban group has captured some areas from Daesh terrorist group and surrendering of nearly 250 fighters of the group to government in the country’s north, the group informed of starting operation against Daesh in Nangarhar. It is believed that Taliban’s recent declaration in connection with starting operation against Daesh in Nangarhar is somehow tactical, while Afghanistan government has increased its military operations and steps against Daesh and the country’s international allies have also focused on targeting leaders of the group in the country; thus, Taliban wants to make use of such a situation as Daesh has been suppressed by Afghan security forces in many parts of the country. A Daesh commander who has surrendered along with his fighters to the government said that he with his foreign insurgents mostly citizens of Central Asian countries had surrendered to Afghan security forces. Mufti Nimatullah, the commander of Daesh and former commander of the Taliban group in Jawzjan, surrendered the other day to Afghanistan government in the province. He told a foreign newspaper that he would decide what to do if the program of surrendering Daesh fighters to government faced with problems. But, Mufti Nimatullah and his fighters are not the guests but prisoners as they had previously beheaded and killed innocent civilians and recruited children as their fighters. Daesh appeared in Afghanistan in 2014 after the group was defeated continuously in Iraq and Syria. Based on reports, the group first started its activities in Urzgan and later on in Nangarhar.